HUNTINGTON BEACH, California ― Results of a large, multicenter, randomized trial show that extended-release (ER) naltrexone (Vivitrol, Alkermes, Inc) can effectively prevent opioid relapse among a particularly vulnerable population: adults involved in the criminal justice system. “Extended-release naltrexone is better known now, but this study began prior to its approval for opiate relapse prevention,” lead investigator Joshua D. Lee, MD, from New York University School of Medicine, New York City, told Medscape Medical News. “We were particularly interested in criminal justice system populations, where the drug might be particularly applicable. These are populations that, unfortunately, are less likely to get standard agonist treatments, such as buprenorphine and methadone, which is regrettable,” Dr Lee said. “Within the criminal justice system there is a high proportion of persons who, either by circumstance or by choice, fall into a so-called drug-free treatment program and are not interested or not able to access buprenorphine or methadone. Extended-release naltrexone is a good alternative or salvage therapy for these individuals who may be at risk for opioid-addiction relapse,” he said. The study was presented in a paper session here at the American Academy of Addiction Psychiatry (AAAP) 26th Annual Meeting. Dr Lee and his team wanted to study how well ER naltrexone would work in a “real world” setting. The study took place in New York City, Philadelphia, Baltimore, and Providence, Rhode Island. Most of the participants were current or former heroin users and had been involved in the criminal justice system during the 12-month period prior to entry into the study. All met DSM-IV criteria for lifetime (any past) or current (12-month) opioid dependence, but were abstinent of opioids at study entry. The trial was open label. 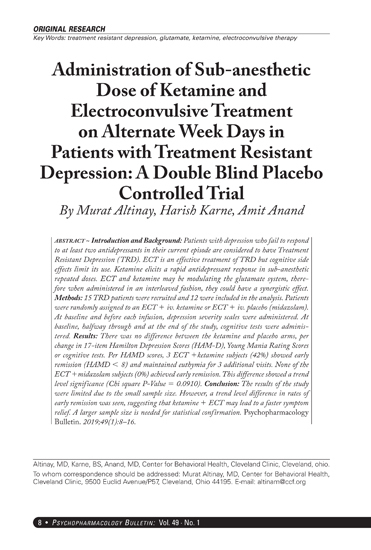 Participants were randomly assigned to receive ER naltrexone (n = 153), which consisted of a monthly intramuscular injection of naltrexone for a period of 6 months, or treatment as usual (n = 155). Both groups also received referrals to community treatment. “Treatment as usual basically was to do whatever they thought necessary to remain abstinent. With naltrexone, we gave a shot every month in a total dose of 380 mg, which is essentially a 4- to 5-week blockade of the opiate receptor. Heroin and oxycodone and those things can still be used, but they have a much diminished effect or no effect, and as a result, people tend not to re- establish daily use and lessen their physical dependence,” Dr Lee said. At the end of the 6-month study period, participants who received ER naltrexone were significantly more likely to remain opioid abstinent than those who received treatment as usual. Naltrexone participants had fewer relapse events than participants who received treatment as usual (43% vs 64%; P < .001; odds ratio [OR], 0.43; 95% confidence interval [CI], 0.28 – 0.65). 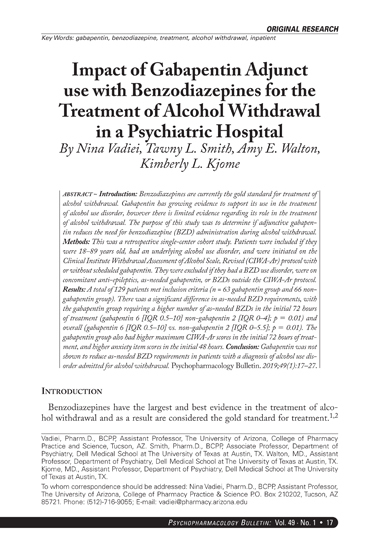 Similarly, the median time to relapse was longer for participants receiving naltrexone (10.5 vs 5.0 weeks; P < .001; hazard ratio [HR], 0.49; 95% CI, 0.36 – 0.68), and there were more negative results on urine toxicology screening for participants receiving naltrexone (74% vs 56%; P < .001; OR, 2.3; 95% CI, 1.49 – 3.56). No overdose events had occurred among naltrexone participants by the time of the 18-month follow-up assessment; by contrast, seven overdose events had occurred among the group receiving treatment as usual (P = .01). “Essentially, with all of these ways of looking at opioid use rates, the naltrexone group was much less likely to have unfavorable outcomes than the treatment-as-usual group. Naltrexone was more successful in getting them to stay opioid abstinent,” Dr Lee said. “We think this is an important study because it will contribute to the evidence base for the drug’s effectiveness,” he said. ER Naltrexone a Lifelong Therapy? Buprenorphine and methadone are considered long-term, year-to-year, even lifelong therapies for maintaining opioid abstinence. It is possible that ER naltrexone could be used in the same way, Dr Lee said. “We gave it for 6 months, but much of the consensus now is to go for 12 or even 16 months and see how people are doing,” he said. One potential barrier to its use, however, is cost. “It is approved for alcohol dependence and opiate use disorders and as a relapse prevention drug, but it is still a specialty medication and costs more than a thousand bucks if bought out of pocket. If you have commercial insurance, there is pretty good coverage. If you have Medicaid, coverage is getting better, but if you are uninsured and have no coverage, it’s basically unheard of to get it other than in certain trials, such as the one we are reporting,” Dr Lee said. “But this is also true for Suboxone [a combination of buprenorphine and naloxone manufactured for Indivior Inc] and methadone. You’re not getting Suboxone if you do not have insurance. Medicaid expansion will help with that, but if your state didn’t opt for Medicaid expansion, it’s still a problem. No insurance means no drugs for many,” he said. “This is a big deal,” said Thomas R. Kosten, MD, Jay H. Waggoner Chair and professor of psychiatry and neuroscience, Baylor College of Medicine, and research director, Michael E. DeBakey Veterans Affairs Medical Center, Houston, Texas, when asked by Medscape Medical News to comment on the study. “Most of the money that is spent on substance abusers is spent in the criminal justice system, and so if we could turn that money around, from the criminal justice system into treatment, our treatment systems might actually start to look pretty good, because criminal justice care is a lot more expensive than outpatient treatment,” he noted. “Naltrexone works well in this patient population, and we have known this for 30 or 35 years. But we always had trouble because you had to take the naltrexone orally, and so you would have to take it at least three times a week. That made it hard to integrate parolees into society, because they would have to come to a center to take their medication, or they had to take it at their job,” Dr Kosten said. With the injectable form, patients only need to be treated once a month. “This can revolutionize care. Half of prisoners are there for drug charges,” Dr Kosten said. He added that the cost of ER naltrexone is covered by most insurance companies. “Cost should not be a factor. Most insurance companies cover it, but under their medical benefits, not their psychiatric benefits, so that makes it easy. And the criminal justice system would save such a bundle of money. If the drug costs a thousand dollars a month ― well, the criminal justice system spends more than that in half a day,” he said. The study was funded by the National Institutes of Health and the National Institute of Drug Abuse. Alkermes provided study drug. Dr Kosten reports no relevant financial relationships. American Academy of Addiction Psychiatry (AAAP) 26th Annual Meeting. 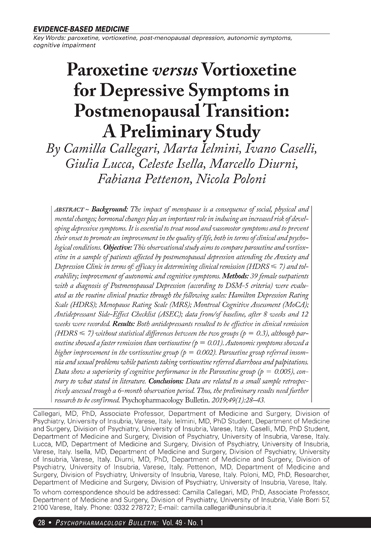 Paper presented December 5, 2015.